Groenland is a band that has sprung from a desire to make electro music interesting. “We wrote a couple of electro songs, which you can still hear on the album, but it just evolved into something completely different. And then we thought, it’s not natural, sitting in front of a computer screen for hours just making beats” said Sabrina Halde, the lead singer, during an interview with Quip. Those songs found their way out of the computer screen onto their first album with different arrangements; the idea behind making electro fun was to throw string instruments at the music and see what stuck. Halde, whose vocals are impressively ranged from sonorously evocative to demurely affectionate, contributes the ukulele portion of the strings. Her logic for the ukulele, an instrument well loved by those who play it, was initially stark necessity. “I didn’t have my piano,” she says, “and you can take the ukulele anywhere because it’s not heavy.” Groenland’s spirit comes from those two statements. They expanded their sound because it didn’t feel natural to just sit in front of a computer screen, and this expansion brought the warm melodies of a string section. Their lack of a piano necessitated that the ever cheerful ukulele find its place amidst the imposing pop tunes. The Chase sounds vintage. It’s a far step from electro and delves into a more refined smoky lounge. As more stringed instruments are added to the music there is a coalescing of a particular style. Part of the lounge sound comes from the bilingual attitude of the band. Like Marukami writing his words in English and then translating them into Japanese, Halde writes her lyrics down in her second language. The Chase captures the universal fight to stay alive, fight to stay in love, so much so that it’s a surprise that English is the second language here, which speaks to the band’s modesty. 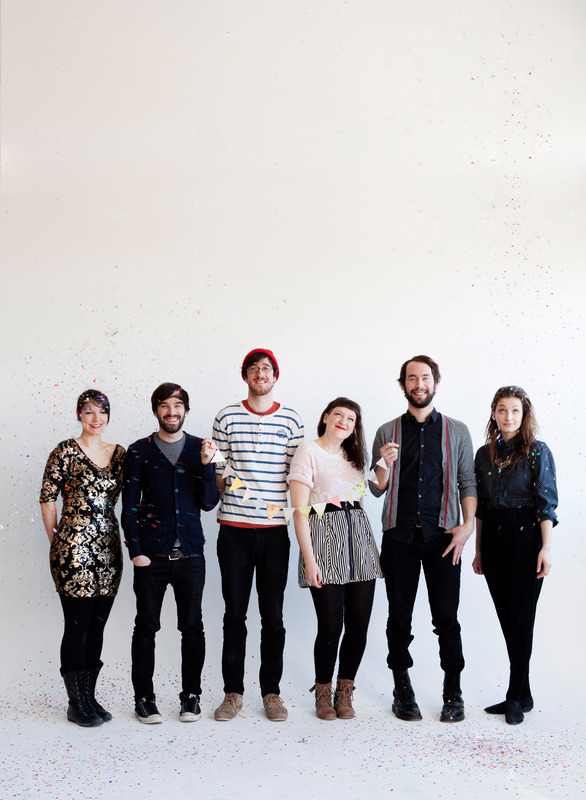 Groenland is a band with members from Montreal, whose first language is French, who recorded together in Toronto, in their second language, English, while named after Denmark’s constituent country (Greenland). Instead of inspiring geographic dizziness, they inject the listener with an upbeat melancholia, filled with words that are seductively sweet, all the while calling the listener to action.